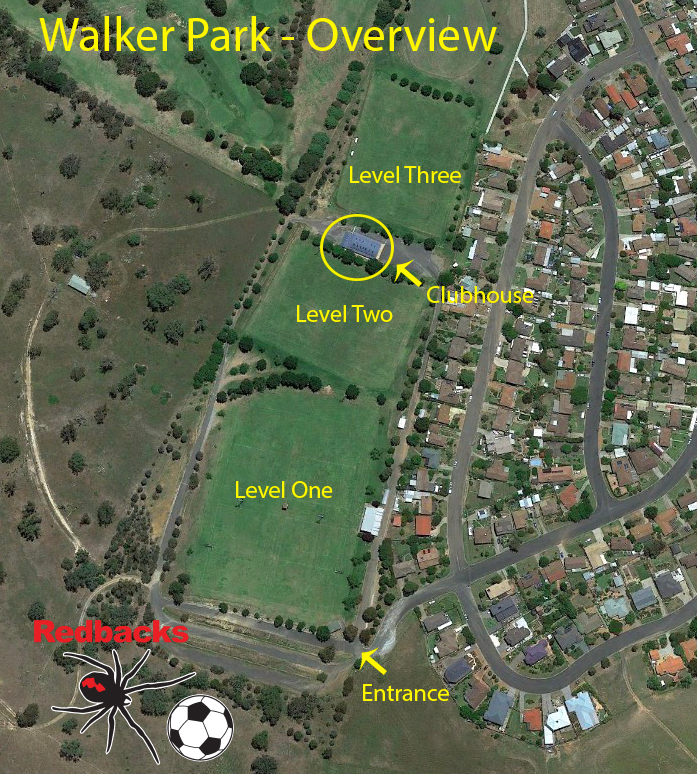 Yass Redbacks Football Club play on level 3 at Walker Park at the end of Merriman Drive in Yass. Left at Woolworths roundabout into Adele Street. Left into Hume Street, through roundabout into Merriman Drive. At Walker Park, turn right, past Rugby League stand to level 3.